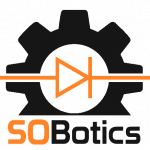 SOBotics creates bots to help with all aspects of community moderation on Stack Overflow on all fronts, be it questions, answers, comments or badges. If you’d like to contribute or just watch what goes on, we’d love to have you! Drop into our room on Stack Overflow chat. Please make sure you’ve read through the general rules. We are not affiliated with Stack Overflow or the Stack Exchange Network. We use data from the Stack Exchange API in our work.